When marking pipes, you want to make sure employees can tell what’s in the pipe with just a glance, and this is usually done with a color-coding system. The industry standard was developed by the American National Standards Institute (ANSI), an organization that developed the most widely used pipe color code standard. 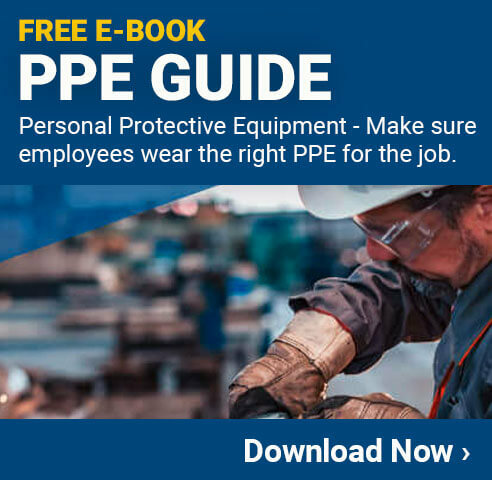 Employees working around pipes and even emergency personnel will be able to quickly identify the type of materials being carried in the pipe, improving both safety and efficiency. As noted in the color chart, there are six categories of pipe content, flammable, combustible, toxic/corrosive, fire quenching, other water, and compressed air, that are assigned a specific color combination. For instance, a pipe carrying nitrogen would be marked with an orange label with black text while a pipe transporting propane gas would require a label with black text on a yellow background. Using these color combos will ensure people can identify the type of liquid or gas in the pipe, even when standing from a distance. This can be crucial in emergency situations or very beneficial for maintenance activities. In addition to the six pipe marking color combinations ANSI has developed, the organization also designated four combinations that can be defined by the user. These labels can be purple with white text, black with white text, white with black text, or grey with white text. This give facilities more flexibility for labeling pipes not necessarily covered by the existing color combinations. ANSI set aside these user-defined standards to give the opportunity for companies to implement custom pipe labels while ensuring these labels can still be clearly seen. For instance, if your facility is transporting water through multiple pipes you may want to further define the type of water. Instead of labeling all “other water” with green labels, you could label all the pipes carrying drinking water with black text on a white label. If you are operating multiple facilities, user-defined pipe labels are also a great way to standardize custom pipe markings across locations. These standards are common amongst industries and will be applicable in the majority of workplaces. However, some situations require a more detailed approach when it comes to the color of a pipe label. There are more specific guidelines for pipes carrying ammonia because ammonia is extremely harmful to human health, and marine environments , water treatment facilities, and the healthcare sector each have their own standards due to the complex environment of these workplaces.